William Reardon (Melvyn Douglas) has been forced to shut the doors of his private eye business and take a job at the district attorney’s office, because he wasn’t making enough money to stay afloat. This is not the end for the Reardons in the detective business, though: Bill’s wife, Sally (Joan Blondell), decides to keep the Reardon Detective Agency open and run it all on her own. Sally’s got a knack for detective work, as it turns out. The office is becoming a great success after Sally is hired on by a very wealthy society woman named Lola (Mary Astor). Lola wants Anne Calhoun (Frances Drake), a friend of her husband Walter (Lester Matthews), to be followed. Lola believes that Walter is having an affair with Anne, whom he had a relationship with in the past. Putting her sleuth powers to work, Sally cons Bill into taking her to the Skyline Club, where she can spy on Lola, Walter and Anne. Sally sees Anne giving a note from Walter to Nick Shane (Jerome Cowan), the owner of the club, before Anne’s fiance Jerry shows up and starts spewing jealous threats at Walter. By the next day, Walter is dead. And because Sally has information about the case, Jerry’s attorney (Pierre Watkin) hires her on to help prove that Jerry is innocent. 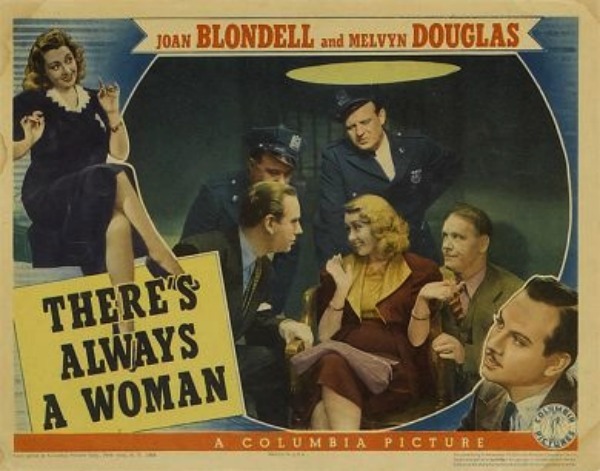 Alexander Hall directs There’s Always a Woman, a 1938 mystery-comedy written by Gladys Lehman. The film runs at 82 minutes and was produced/distributed by Columbia Pictures. A deviation is made from the Thin Man formula in that Sally and Bill aren’t actually a sleuthing pair in the beginning of this film. When he’s running the business, Bill will barely let Sally work reception, and once she does begin snooping she does most of the work on her own. 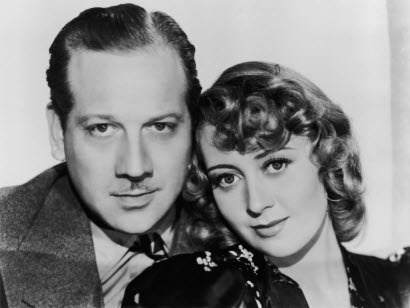 There’s plenty of great banter to be had, and about a million loving-but-harsh jabs are thrown between Joan Blondell and Melvyn Douglas, especially during the Skyline Club scene. Blondell in this film is the absolute definition of “delightful.” Sally is sneaky, snarky, and about as full of energy as a human being can possibly be without experiencing spontaneous combustion. I knew Joan’s performance would be a highlight of the film for me, and she didn’t disappoint. As Sally involves herself in all of the action, Blondell carries the story well. The character is just wonderful, too, directly defying her husband’s protestations that she should be taking care of the home by continuing to dig into the case. This was another film that I discovered through WatchTCM. In Robert Osborne’s introduction to the film, he describes it as “a charming whodunit,” and I would have to agree! 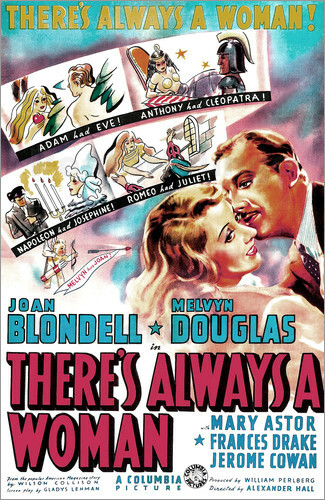 Fast-paced and fun, There’s Always a Woman is a truly wonderful watch. Highly recommended for fans of the mystery-comedy genre, or for fans of Joan Blondell. The score: 5/5!